Wild ungulates such as deer, moose, goats, and boar are key drivers of forest ecosystems, as they can exert strong top-down control on forest structure and dynamics by numerous mechanisms which include rubbing their antlers on trees, stripping bark from tree trunks, and feeding on tree shoots and roots. At the same time, the current increase of ungulate density across the northern hemisphere because of ungulate reintroduction programs, abandonment of agricultural land, competitive release from domestic ungulates, the absence of top predators, and improvement of habitat quality has exacerbated the top-down control that these animals have over the forest, hence, compromising the conservation of biodiverse forests for future generations. 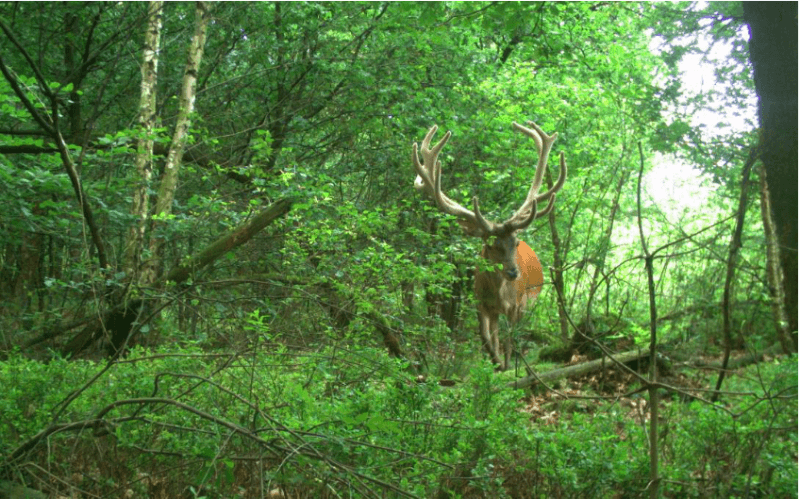 Understanding the impacts of ungulate density is important in order to prevent shifts towards undesired states, such as from forest to heathland. With our research, we assess the effects of ungulate density on forest regeneration, development, and functioning. We carried out a systematic literature review of over 400 published studies in temperate forests and used the data to model dose-response curves of the effects of ungulate density on three sets of forest attributes: tree regeneration (abundance, species richness, and composition), forest structure (horizontal and vertical), and forest functioning (nutrient cycling in soil, timber, and food production). Ungulate density averaged at 23.6 animals per km-2 across studies and had a negative effect on forest regeneration, structure, and function in 70% of the evaluated cases. The shape of the dose-response curves was sigmoidal, rather than a unimodal shape. Critical tipping points, where ungulates started to have a negative effect on forest regeneration, were found at an ungulate metabolic weight density of 115 kg km-2 for forest regeneration, 141 kg km-2 for forest structure, and 251 kg km-2 for forest functioning, which is roughly equivalent to 10, 13 and 23 roe deer per km-2. 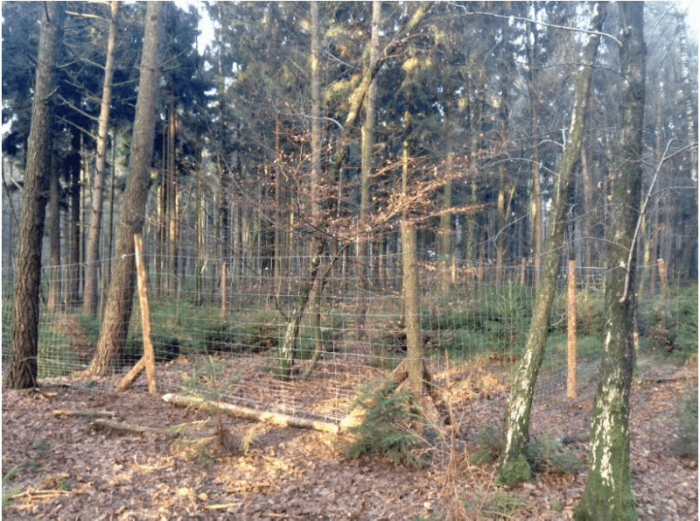 Forest regeneration was most sensitive to immediate browsing and trampling impacts of small seedlings, while forest functioning was least sensitive because of time lags. However, these effects may build up over time. Forest managers can improve forest heterogeneity by (1) setting up ungulate exclosures at different temporal and spatial scale, (2) by offering alternative foliage for ungulates, (3) limiting the number of reproductive females, and (4) by reintroducing top predators. 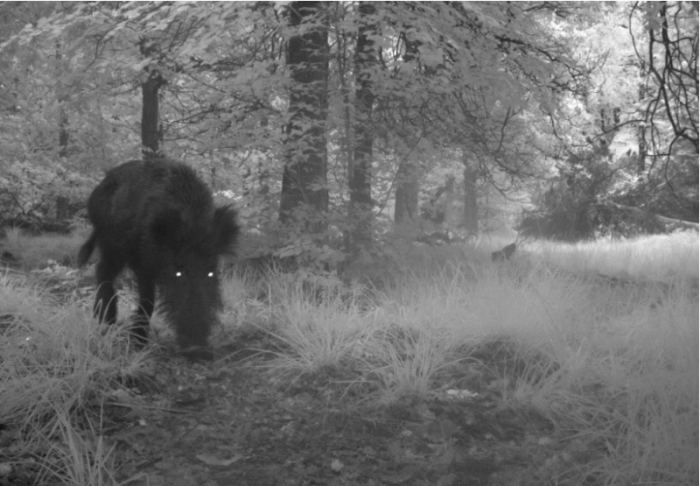 Rewilding natural areas with apex predators might bring ungulate density into balance again and thus secure regeneration establishment and development. Predators can eventually restore top-down interactions and associated cascading effects that culling and game hunting has failed to achieve. In natural areas, trophic rewilding gives the opportunity of self-regulation, thus providing new opportunities for the entire ecological community and reducing human interference. These findings are described in the article entitled Effects of wild ungulates on the regeneration, structure and functioning of temperate forests: A semi-quantitative review, recently published in the journal Forest Ecology and Management. This work was conducted by J. Ignacio Ramirez and Lourens Poorter from Wageningen University & Research, and Patrick A. Jansen from Wageningen University & Research and the Smithsonian Tropical Research Institute.